SINGAPORE, January 11, 2019 — Blockchain App Factory integrates two of the latest features into their Cryptocurrency Exchange Development. The blockchain and cryptocurrency solutions company has been improving their white label exchanges to have a platform with features to launch more players into the crypto-market. “Understanding the government authorities' move towards a more regulated cryptocurrency market, our ready-made solutions bring about a legitimate way to run a cryptocurrency or securities exchange with 100% accountability,” explains the spokesperson for Blockchain App Factory. To leverage their investments is very common for experienced investors to use margin trading as a resource. Although is a highly risky trade practice, it can be very lucrative and the crypto world couldn't leave this option out, especially now that Security Token Exchange is becoming more popular. Tokens backed by assets especially real estate and commodities will be the next big thing for cryptocurrency world, bringing the dreamed liquidity coin holders needed. With the possibility of trade real-world assets and commodities in the blockchain, margin trading will become a common practice. “This is a natural progression for the exchanges platforms to add security tokens to their offerings. As tokenized asset market starts to grow margin trading will become more popular among investors and exchanges platforms, that will be able to partner up with lending companies. A win-win situation for all the parties involved,” says Ramkumar S, Director of Sales. 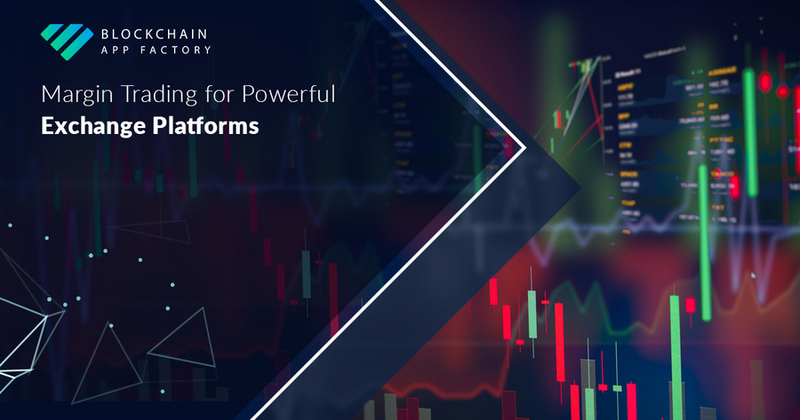 Always looking into the future, Blockchain App Factory is keeping up with the innovations and new trends in the blockchain world to offer their clientele top-notch White label cryptocurrency exchange solutions and also multi-asset exchange platforms.